The most popular sites on the Internet are dating sites. It’s not a surprise because people are always interested in other people and try to find their soul mates or friends there. 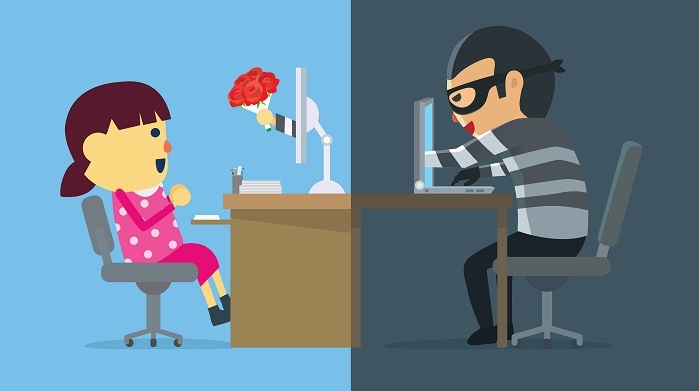 However, some people consider dating sites as another source for the implementation of their fraudulent activities. And these people use a variety of ways to lure money. Such people can belong to different countries, for example, to Nigeria. There is a sensational way of the scam that is called “Nigerian letters.” These letters are from millionaires who promise a lot of money for a little help. You need to help them by providing your bank details or paying commissions to transfer money from their country via your bank. Now you may think that is almost impossible to find love even on dating sites. In fact, it is quite possible to do and not to get into an unpleasant situation. Just follow a few simple rules. Nigerian dating scam stories have known more than 40 years. Nigerian letters were a common form of scam, which has been most developed with the advent of mass mailings by email (spam). When the Internet was not widely popular, Nigerians sent to America and Europe the most ordinary paper letters and faxes, the content of which was exactly the same as now. Such scam was one of the most profitable businesses in Nigeria. Of course, the Internet simplified everything. In various Western sources that are dedicated to the problems of the Nigerian scam, it is argued that from the early eighties to the mid-nineties, African scammers earned more than $5 billion. Scams were quite diverse. Most often letters were sent on behalf of a former king, a president, a high-ranking official or a millionaire with a request for assistance in banking operations involving the transfer of money from Nigeria or another country abroad, inheritance, etc., that was allegedly taxed. Another common option was letters from a bank employee or an official with a proposal to help get money from a bank account of a very rich person who died and had “the same name” as a recipient of a letter. Usually, it was millions of dollars and a recipient was promised a considerable percentage of the amount – sometimes up to 40%. This scam was professionally organized: scammers had offices, a working fax machine, their own websites, often scammers were connected with government organizations and any attempts to conduct an independent investigation revealed no contradictions. 1. The most popular Nigerian scam on dating sites is a letter from a daughter of a rebel-killed politician who is in captivity. And she needs a big sum to get out of there. 2. You can get some mysterious job in one of the foreign countries. But, again, it is necessary to send money in order to get it. 3. One more Nigerian dating scam is when a lawyer of your distant and unknown relative sends you a letter stating that your uncle died (most often in a car accident). And now you are the sole heir of his millions. 4. You can be informed that you won some money lottery. But before you receive money, you must pay a certain amount, which is called a tax on winning. 5. One of the Nigerian online dating scams is when you are offered to donate some money for the construction or reconstruction of a non-existent church in West Africa. 6. This last option is perhaps the most romantic. Nigerian letter comes to a dating site. A victim becomes “an heir” of some state or even an entire African kingdom. But at the moment, a princess or a prince is in a refugee camp because there is a popular revolt in their country. A victim is suggested to marry and inherit a huge fortune. But he or she needs to send money for this so that a future wife (or a husband) can return to the country. 1. Usually, you get such an offer unexpectedly. E-mails or letters contain long and pitiful stories. 2. E-mails or letters are written in bad English. Please note that you will never face it on jump4love.com. The Nigerian police do everything to stop this scam. But it still doesn’t work well. There is even the article 419 in Nigeria. Don’t think that Nigerian letters are written by only a few people. No. It is a very common practice there. And according to reliable sources, Nigerian spammers annually receive from $100 million to $1 billion. And for all time, only a few scammers were caught. Still, at the initial stage of virtual dating, each person should have a certain bell inside that reminds of: “Don’t believe this stranger. Don’t believe yet”. It’s hard to say how long the period after which you can open and trust should last. All this is decided on an individual basis. You can’t reveal the deception in one second not seeing the eye your interlocutor, not hearing the intonation of his or her voice. Scammers often use this. After all, in a virtual world, everyone has the opportunity to draw their own image as they wish. A woman with a bunch of debts can be called a successful businesswoman and a long-married daddy of three kids is a free man who is ready for a serious relationship. Never send your personal information, details of a credit card or bank account to unfamiliar or suspicious persons even if you are promised to send a large sum to your bank account. All official institutions that inform you of the winnings never require you to prepay. And it will never be sent to your profile on dating sites. Also, you can read different jump4love reviews and make sure that there are no such scammers on this dating site. If it seems to you that a stranger looks strange, writes unbelievable things, or something else alarms you, it is worth to end chatting under the plausible pretext. After all, if there is discomfort from the first message (it’s not about natural embarrassment), then what kind of continuation can we talk about. Don’t believe compassionate stories and quick ways of how to get rich. Always ask for independent financial advice. Normal woman or man will not ask for help on the Internet. Any person has friends and acquaintances that can help if necessary. So, don’t believe that you are the last hope for someone. There is a greater risk of meeting scammers on sites where any registered person has access to acquaintance and communication without checking. Look for serious dating sites. For example, it can be jump4love. This dating site has no scam. In the network, you can learn a lot of stories about deceived people as well as the ways that scammers are resorted to. Therefore, having become interested in a pleasant young woman or man, don’t be lazy to look into the “blacklists”. They were created precisely in order to protect people.